Jo Kanamori is called "The pioneer of Japanese dance" and "The Jewel of the Japanese dance world." His productions often are getting different reviews but are having the constant success of the audience. The company Noism celebrated its decade with the performance of Carmen. A new stage genre – "Drama Dance" was presented, and together with the main cast, the trainee troupe came on stage. For this performance, the choreographer used to the source – the novel by Prosper Mérimée, which inspired the creators of the famous opera and ballet. His goal was to present his own "Carmen", different from all the others. The most radical innovation was the attempt to use the text along with the dance. 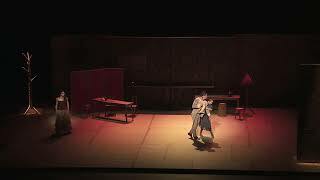 In the performance appeared the narrator - Prosper Mérimée himself performed by the leading actor of Shizuoka Performing Arts Center - Akihito Okuno. According to the director, this technique adds “layering” to the performance and turns the dance action into the real “performance” - the art form of the future. That's how the choreographer sees the ballet of the XXI century. However, for the training of ballet dancers Kanamori, on the contrary, is extremely conservative. He believes that classical training is the basis of craftsmanship and the guarantee of success of every ballet dancer, in whatever genre he is performing.